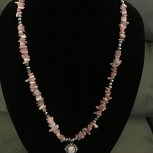 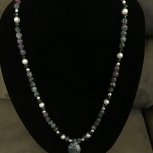 This simple necklace is 20 inches long. 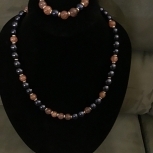 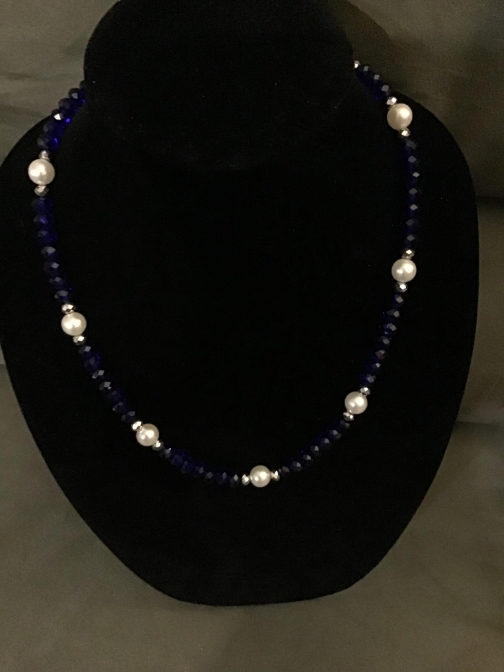 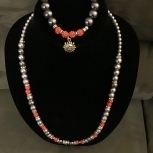 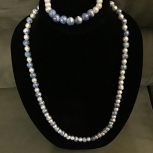 It has Navy Blue Swarovski Crystals and pearls and silver spacers. 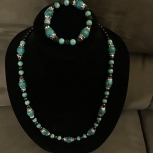 It can be worn on any occasion.